Ms. Holl joined Small Office Solutions in 2015. Her passion for numbers and puzzles are put to good use when preparing individual tax returns. 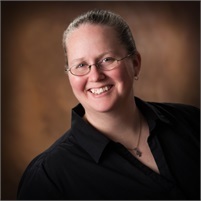 She has a Master’s Degree in Mathematics from Marquette University and Associates Degree in Accounting from Milwaukee Area Technical College. Ms. Holl is an active volunteer at her church and enjoys spending time with her three children.